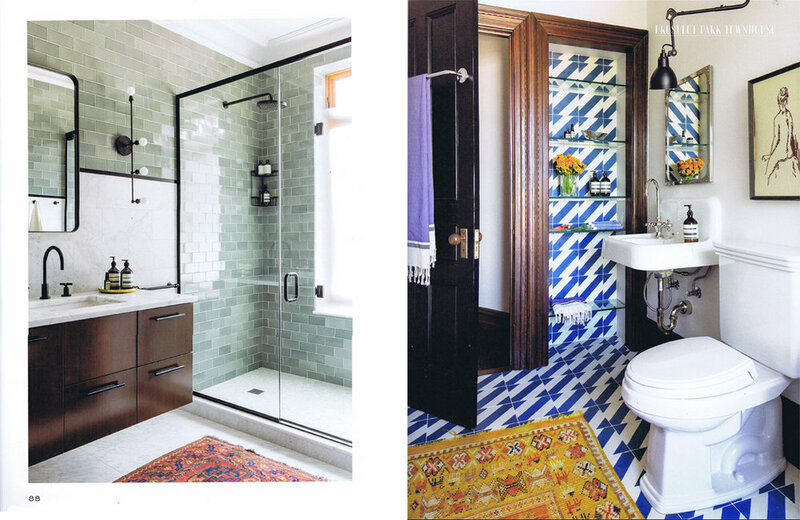 Details that not long ago were contemptuously referred to as mere "décor"–the textiles, patterns, carpets, tiles, light fixtures (down to the bulb aesthetic)–are now considered some of the most personalizing and sheltering influences on a space. 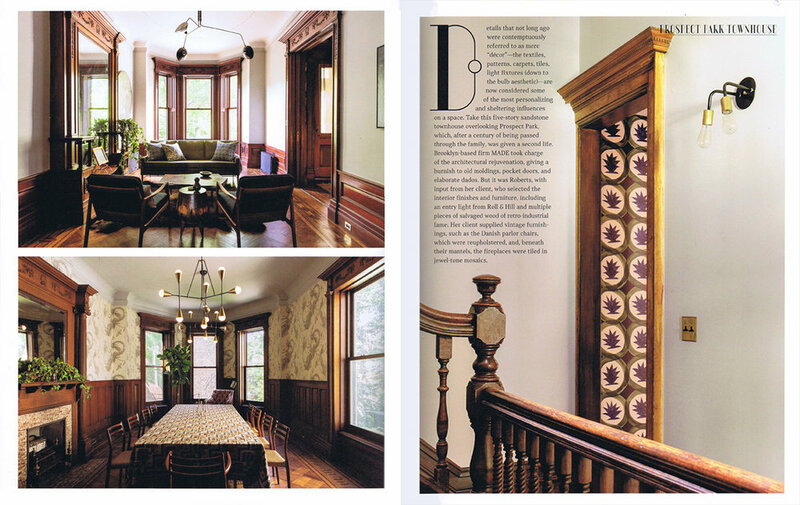 Take this five-story sandstone townhouse overlooking Prospect Park, which, after a century of being passed through the family, was given a second life. 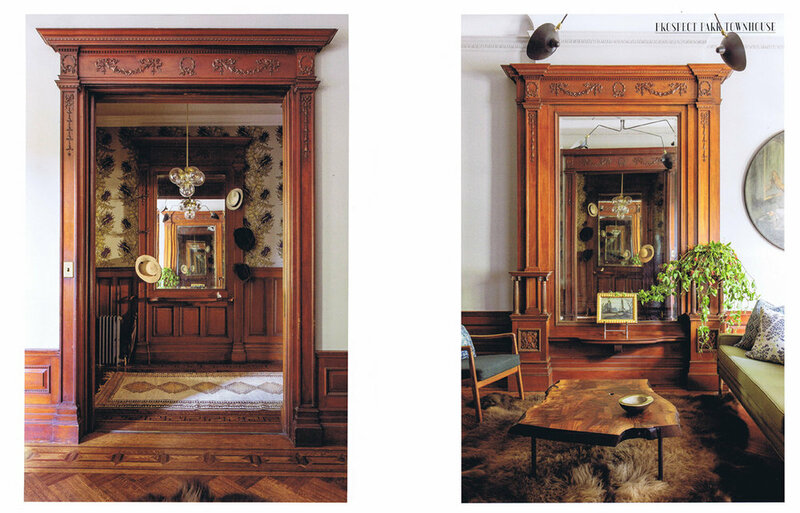 Brooklyn based MADE took charge of the architectural rejuvenation, giving a burnish to old moldings, pocket doors, and elaborate dados. But it was Roberts, with input from her client, who selected the interior finishes and furniture, including an entry light from Roll & Hill and multiple pieces of salvaged wood of retro-industrial fame. 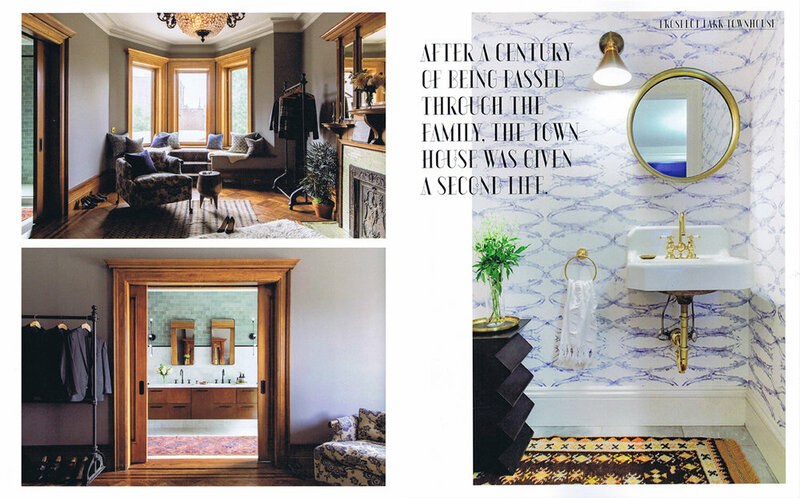 Her client supplied vintage furnishings, such as the Danish parlor chairs, which were reupholstered, and, beneath their mantels, the fireplaces were tiled in jewel-tone mosaics.